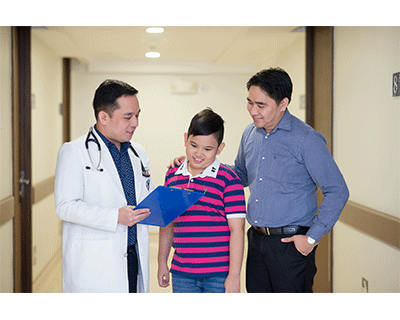 The Department of Family and Community Medicine is composed of Philippine Academy of Family Physicians (PAFP) certified doctors, diplomates and fellows. The department delivers acute, chronic and preventive care to patients of all ages while also providing patient-focused, family-centered and community-oriented care and services. It offers a comprehensive array of preventive care such as routine check-ups and follow-ups, health-risk assessments, screening procedures and vaccinations, as well as counselling on maintaining healthy and correct lifestyle.